I am writing to compliment Ausflow P/L on the most excellent work completed on 06/02/18, opening the road and connecting my new sewer to the main. They visited onsite several times to plan and assess requirements, with an enthusiasm to begin. They organised removal of waste, traffic control plan and traffic controllers. The team was very well organised, efficient and friendly. I could not have been happier with this company and how quickly they got the job done! I would definitely recommend them to anyone, especially Sydney Water. Please be advised that even though I contacted several different companies listed on your website, as being suitable for my connection, Ausflow were the only ones to respond promptly and positively, and with so much courtesy. It doesn’t get easier or any less stressful. They helped with applications, always with a can-do attitude and follow-up. Simply awesome! We have been using Ausflow’s services for almost 3 years now, and we couldn’t be happier with the service they provide us, and our customers. This ranges from general advice, to plan approvals, sewer encasements, site inspections, subdivision approvals, and Section 73 Applications. Having one reputable organization that can handle all of these tasks, really puts our minds at ease, knowing that things are getting done, and they are getting done properly. Their staff are very accommodating, their prices are reasonable, and best of all, their follow-up and level of customer service is exceptional. 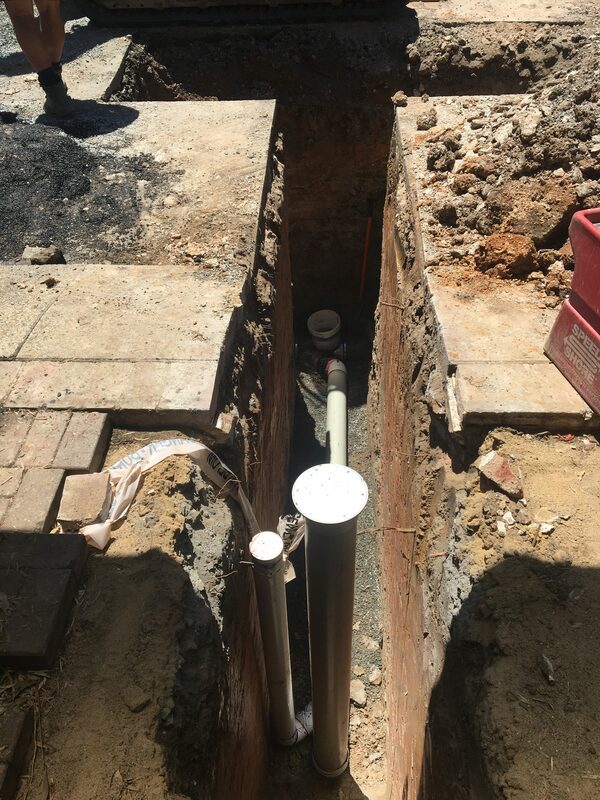 We couldn’t be happier with Ausflow, and would strongly recommend them to anyone in the building industry, who requires a professional to handle all Sydney Water requirements. Award Pools Group has been working with Ausflow for many years and have always been impressed with their performance. The team at Ausflow are always friendly, their knowledge within their industry is to be commended. We would have no hesitation in recommending their services. We just love working with Ausflow! We just love working with Ausflow! The team are super friendly, knowledgeable and very efficient. I’m most impressed with their reliability, communication and attention to detail. I recommend these guys to anyone looking for a professional team to work with. I have been using the services of Ausflow as Water Sydney Water authorised Services Coordinators for many years now after switching from various alternative firms that simply took months and months to carry out simple approvals. Working in Balmain and Rozelle, as well as other inner city suburbs, finds one in three projects inevitably having issues with building adjacent to sewers, man holes and vent shafts. Ausflow are always helpful in carrying out the peg-outs, obtaining the required approvals and then contracting the works. Put simply Gabriel Austin and his professional team make my job as an architect easier to navigate through these sometimes problem sites. I have been working with Ausflow for over 5 years on projects that are setting up for construction. The team provides an efficient and exceptionally friendly service, particularly when it comes to communicating and explaining the processes in what can sometimes be a difficult Sydney Water Approval Process! I happily continue to recommend Ausflow to our clients.